Things are looking bleak for the Avengers in the wake of Infinity War. Half of the universe's sentient life has been snapped out of existence. Black Panther, Bucky, Scarlet Witch, Spider-Man, and a whole host of other heavy hitters were among the casualties. The world is reeling, and the way forward is unclear. Captain America ends the film with a single bleak "Oh God." What on Earth can he — or anyone — do against the cosmic blow Thanos just dealt, especially when he still controls the Infinity Gauntlet and thus the universe? Things seem bad. And they are. But they're called the Avengers for a reason: They don't give up until they've righted wrongs. Captain America has been their leader — and, really, their heart and soul — for as long as they've been around, and he embodies their persistent spirit better than anyone. Turns out there are more than a few ways the man with the shield could take down the Mad Titan, especially if the comics are taken as precedent. Here are ten ways Captain America might be able to defeat Thanos and repair the universe for good. Thanos has made himself into the biggest threat the universe has ever known. With control over the Infinity Gauntlet and the Stones embedded within it, he can control time, space, reality, and more — basically, everything that makes up, well, everything. In many ways, erasing half of all sentient life is only the beginning of the Gauntlet's powers: He could rewind time back to the Big Bang, incline every mind in the universe towards supporting him, and play with the elemental building blocks of existence like Tinker Toys. In creating the Gauntlet, however, he has also sown the seeds of his own destruction. One has only to wrest it away from him to make him mortal once more — and who better to do that than the mortal who gave him a run for his money with nothing a grimace and an iron will? If the Avengers were able to take the Gauntlet away from Thanos, Cap — with his unimpeachable moral integrity and strength of conviction — would be the best candidate to wear the Gauntlet and reverse what Thanos has done. Only his own strength of character and will match Thanos' own, and only he could wield the Stones with the same potency of power. Infinity War taught us that gaining the Stones is no mean feat — especially the Soul Stone, guarded by what once was the Red Skull, which demands the sacrifice of a loved one. Thanos tossed Gamora, his adopted daughter, into a chasm on the desolate planet of Vormir for its power, and anyone looking to take it away from him must be willing to do the same. Captain America could undermine this process and take down Thanos in two ways. Firstly, he was the one who took down Red Skull the first time, and as such might be able to subvert Thanos' power over the Stone he guards. 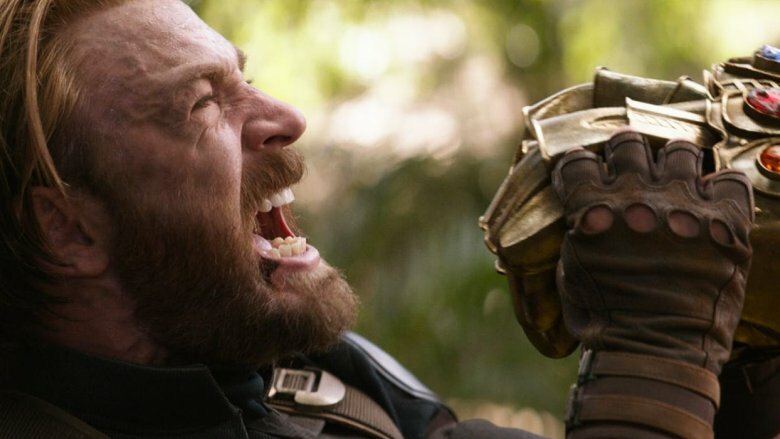 Perhaps he could intimidate the Skull into turning the Stone away from Thanos — or perhaps the Skull has even learned to respect Cap over the course of his punishment, and would turn the Stone over to him willingly. 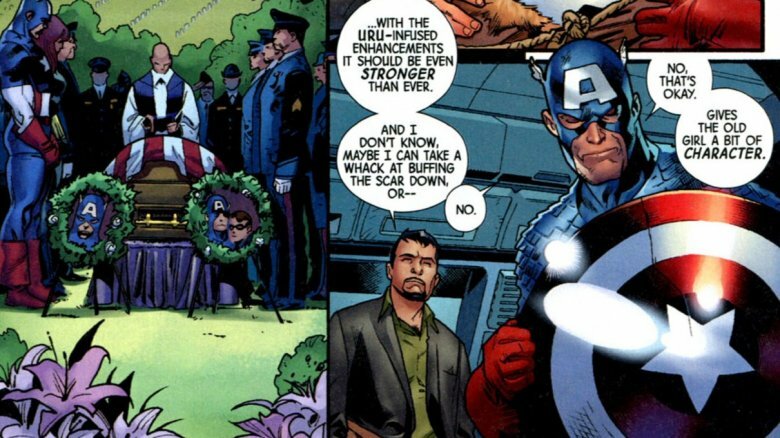 Secondly, and more tragically, no one is more roundly beloved than Captain America — not just by the Avengers, but by the world. The force of that love could make a sacrifice of his soul immeasurably powerful, possibly enough to wrest the Stone away from Thanos by sheer force of emotion. It's be a roundabout way for Cap to beat the bad guy and save the day, but a way nonetheless. Captain America's powers are fairly flexible: He amounts to a human being at peak capacity, plus… more. What counts as more? Well, sometimes he can hold a helicopter back from taking off with nothing but his biceps. Being a super-soldier enhanced by a mysterious 1940s serum has applications we might never see fully explored in the Marvel Universe. 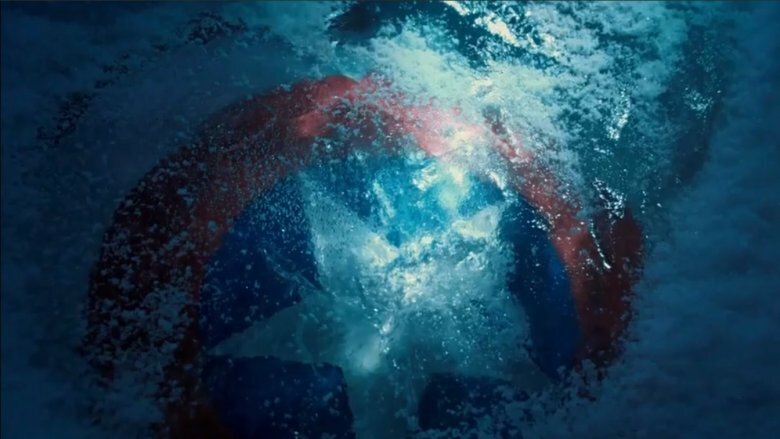 There is precedent from the comics, however, for Cap being able to tap into the serum when he needs it most and take his powers to dramatic extremes. Captain America #159 explores this when Cap is suddenly able to manifest super-strength to a degree previously unseen. He bursts through ropes like dental floss, pulls apart steel doors with his bare hands, and tears through bolts like tissue paper. 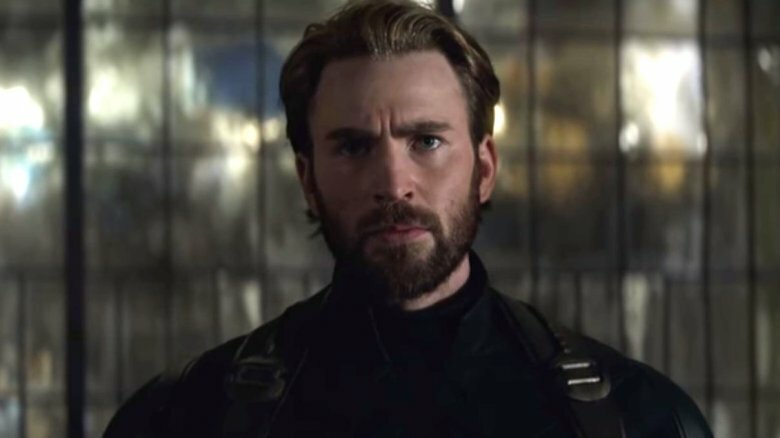 It's all the result of a reaction between the serum in his blood and a villain's exotic chemical brew, and sadly, Cap doesn't ultimately retain his newfound abilities. But it laid the groundwork for the movies to build on: A Cap who, in a brief but mighty burst, is able to fill in for the Hulk. Not only is this power impressive, Thanos wouldn't see it coming. 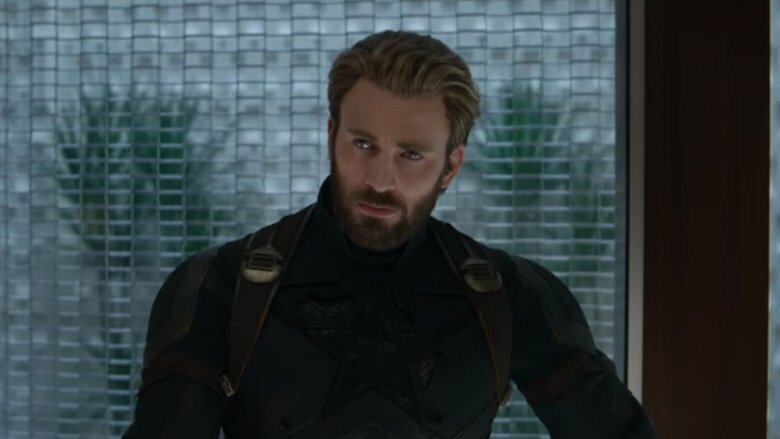 Who wouldn't love to see Steve Rogers land a godlike sucker punch right into that big purple jaw? Comics love to play around with their characters' origins, even decades after they've been established. Once upon a time, for example, Superman was from Iowa instead of Kansas and he couldn't actually fly. Comics were, after all, in their earliest stages and still figuring out what worked. Captain America hasn't been an exception to this rule: The ins and outs of what makes him his star-spangled self have been tinkered with continuously since his debut. One explanation from Cap's comics saga, as penned by Mark Gruenwald, posits that the super-soldier serum acts as a sort of virus, rather than a drug — one that can, given the right chemical reaction, attack the host body. This introduces interesting possibilities for the MCU: Could Steve deliberately spread his abilities to Thanos, then expose him to something that would make him deteriorate? Could the virus be spread to other Avengers, granting them Cap's powers? Could, in fact, a sort of "fever" be induced, spurring these powers into frenzied heights? It's a rich storytelling opportunity if the MCU decides to explore it — one that could even linger in other characters after Chris Evans leaves the franchise for good. 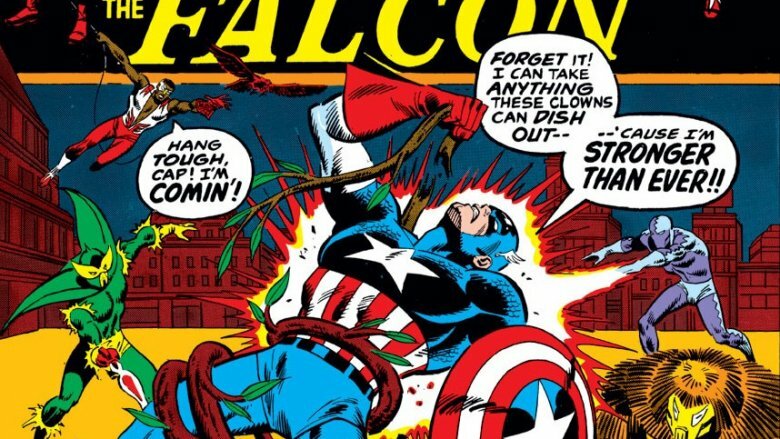 Captain America has often been at odds with SHIELD, both in the comics and the movies. Sometimes he's got their support, sometimes he doesn't, and sometimes he's outright fighting against their aims. But no one among the Avengers has more knowledge of SHIELD than he does — or more contacts within the organization. The dude has romanced two separate SHIELD agents, after all — with nearly 70 years between them! With Nick Fury and Maria Hill gone, no one can marshal SHIELD forces like Cap. He knows how their hierarchy works, he knows who they have on their side, and he understands their tactics, in no small part because he's often been targeted by them. Thanos might have power over reality, but SHIELD could form one part of a powerful strategy against him, if only as a distraction. And it's not just the power of SHIELD's arsenal, agents, and sundry other resources that Cap has at his fingertips — it's Captain Marvel. Fury beeped her in the post-credit scene, sure, but there's not much his ashen self can do now. Cap isn't just the only person with any kind of SHIELD ties to her, but the only person who, as another Fury contact with bizarre powers, could truly understand her. Captain America is as closely aligned with his shield as Cinderella is with her glass slipper. With it, he is the mighty sentinel of liberty. Without it, he is still Captain America — but there's a reason the most dramatic moments in his history, on page or screen, have been marked by the loss of his shield. It's a defensive tool, an offensive armament, and a potent symbol of everything he is. And in the "Fear Itself" event of the 2010s, it got a tremendous upgrade: an infusement of Uru, the metal that makes up Thor's hammer. This would be a bit tricky to pull off in the MCU, but not impossible: the cosmic forge Rocket and Thor visited to create Thor's new hammer in Infinity War still stands, and could be returned to. Imagine a Cap armed with a weapon made by the greatest smith in the universe, a shield wrought in the manner of the gods, a Captain America with a shield worthy of Asgard. With his will and something like Thor's might, what couldn't Cap accomplish? With only a Wakandan shield, he came awfully close to holding off Thanos. Imagine what he could do with a magical, star-forged upgrade. Captain America is the consummate leader: effective, clear, and absolutely admirable. He gets results and he keeps his word, no matter how many aliens, secret agents, or conquerors of the cosmos may attack. There's a reason he's led the Avengers for so long. But Cap also has a comics history of leading another group: the Secret Avengers, a small-scale strike team of highly-trained professionals whose numbers have included everyone from Valkyrie to Moon Knight. 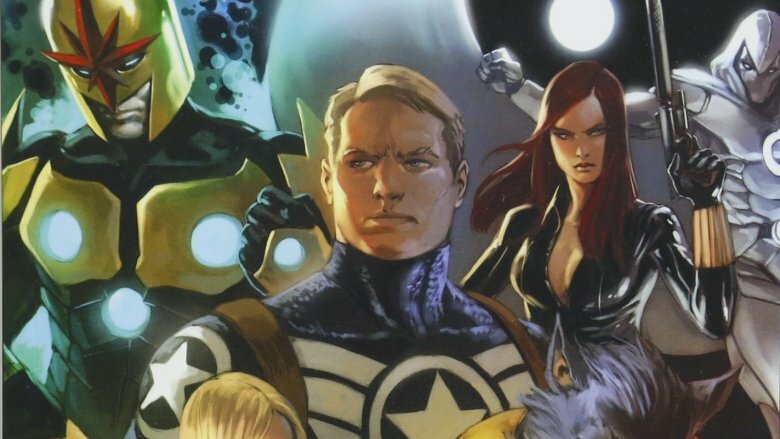 The Secret Avengers are a surgical-precision strike force, and their tactics could take down Thanos is a unique way he wouldn't expect. If the good guys managed to get hold of even just one of the Infinity Stones, that advantage would be massively multiplied: Imagine a strike team lead by Captain America with control over time or space? A coordinated attack almost took down Thanos once, if it hadn't been for Star-Lord — with Cap at the helm, there's no telling what another one could do. 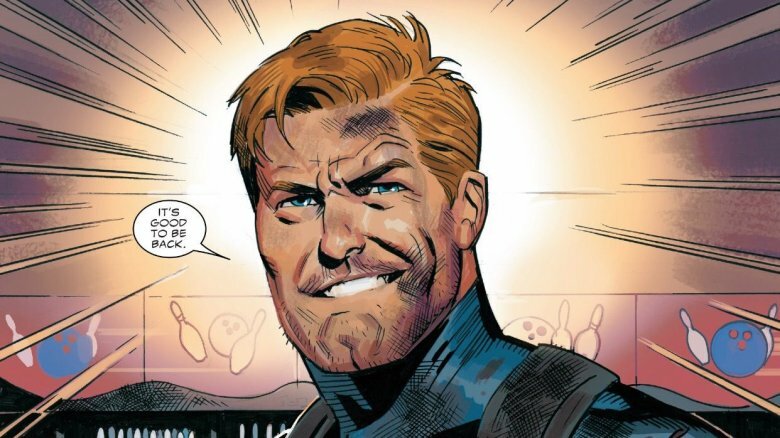 Even if you're not terribly comics-savvy, there's a chance you might have encountered a panel or two from 2016's Secret Empire event — and there's a bigger chance that if you did, it was the panel of Captain America saying "Hail Hydra." It was a controversial choice, and as Marvel promised, it really was Captain America saying it and not an impostor, a clone, or a brainwashed stooge. It was, as it turns out, a Cap from an alternate universe, and the day was ultimately saved by a good-hearted, all-American Cap reconstituted from memories of him before Hydra got to him, trapped in the Cosmic Cube. A little convoluted? Sure. But imagine the possibilities of that premise applied to the MCU. 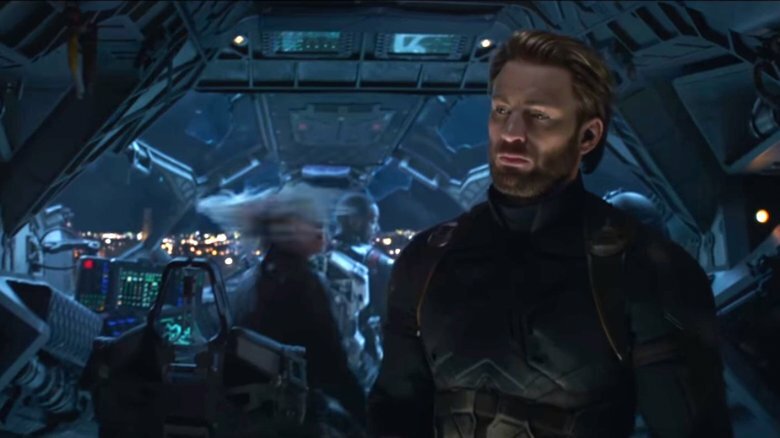 The Cube, which we knew as the Tesseract and now understand as the Space Stone, could effectively transport Cap across space if it can "remember" people the way its comics counterpart did. It could be influenced against Thanos, or even forced to bring an alternate Thanos to life — one less twisted and given to dramatic, genocide-inducing snaps. The possibilities are effectively endless, but the salient one here is the one that could maintain a stable Captain America across space and possibly other dimensions. There could be multiple Caps, or a sort of "backup save" Cap, or possibilities still stranger. But any one of them could save the day. Captain Marvel has joined the MCU, and with her, a whole host of intergalactic villains and allies. Most prominently, Captain Marvel brings in the Kree, a longtime fixture of the comics with a whole host of spectacular powers and armaments. Captain America has a history in the comics of acting as an envoy to the Kree, and doing it with a charm and upstanding nature that translates across the cosmos. That's right: even aliens stand with Cap. Now imagine Evans' Cap traveling in a similar capacity into space. 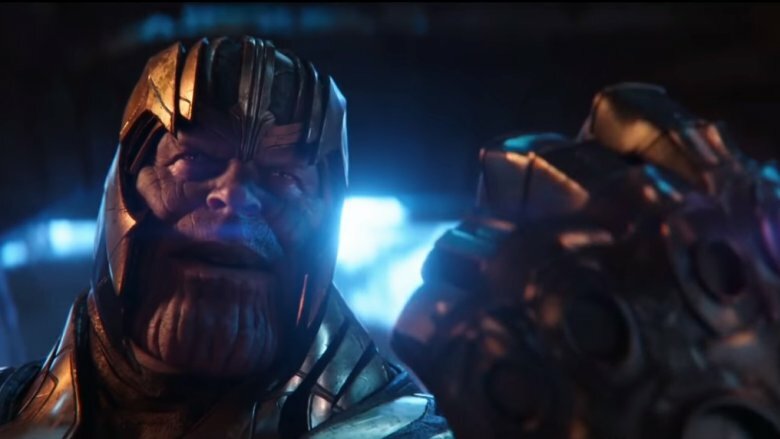 Remember, Thanos wiped out half of all life, not just life on Earth — it's likely that other planets are full of beings just as angry as the Avengers and just as raring for payback. Who better than Cap to marshal them into an army? Our Avengers might seem on the ropes, but the help of the cosmos could make the difference in the battle with the Mad Titan. Diplomacy might not be what Captain America was trained to do, but he'd do it better than anyone else and potentially save the universe in the process. Captain America is probably one of the most famous examples of fictional suspended animation, apart from however many thawed-caveman characters are out there. Frozen in the Arctic ice, he became a man out of time — yet a man still committed to his destiny. Though Bucky Barnes, the Winter Soldier, survived a far more purposeful and sophisticated bout of suspended animation, both of them remain examples of a process uncommon in even the scientifically fanciful MCU. Whether it's a Soviet pod or a maximal ice cube, they'll go into it and come out swinging. In the comics, especially in the Captain America: Reborn series, there is a particularly interesting application of this ability that could take down Thanos in a unique way: send Cap and/or Bucky, bearing a message, mission, or weapon, through time in suspended animation to take out Thanos when he least expects it. This could be something that uses the Time Stone, or it could be done the old-fashioned way, by waiting for however many years. 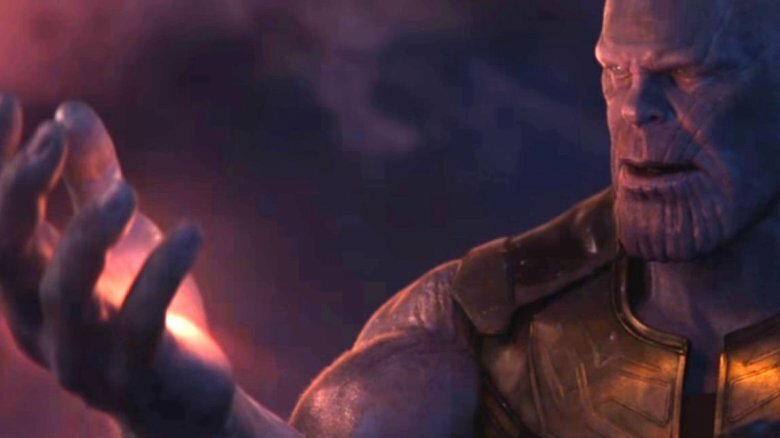 Though the latter case seems extreme, a defeated Thanos would yield the Time Stone, and thus a way to rewind back to the beginning. Convoluted? Perhaps. Effective? Likely so.